You’ve seen her transform dozens of drab houses into enviable homes on “Fixer Upper,” but Joanna Gaines isn’t just a talented designer. She is also an extremely successful entrepreneur. While the list of Joanna Gaines’ business ventures and accomplishments is virtually endless, we tried to summarize them all in this profile. The couple’s unique dynamic and talent for renovation made the show a huge success. Throughout its 5-season run, the couple also embarked on an ambitious business endeavor to transform an abandoned location in downtown Waco into a thriving shopping complex known as Magnolia Market at the Silos. Since opening in 2015, it now receives 1.8 million visitors a year and serves as the headquarters of their ever-expanding business. Together, the two own a real estate company, construction company, design firm, and the residential subdivision - Magnolia Villas. In the following year, the couple launched three product lines, which ranged from paint colors to furniture. During this time, they also opened a bed-and-breakfast called The Magnolia House and released multiple publications. These included the quarterly lifestyle publication, the Magnolia Journal, and a joint memoir titled, The Magnolia Story. The later documents the couple’s significant life events and became a New York Times Best Seller in just one month. 2017 was another busy year for Joanna. She began filming the spin-off series, “Behind the Design,” and released home good lines with Pier 1 Imports and Target that feature over 300 hand-picked items. She also wrote two more New York Times Bestsellers titled Magnolia Table Cookbook and Homebody: A Guide to Creating Spaces You Never Want to Leave. 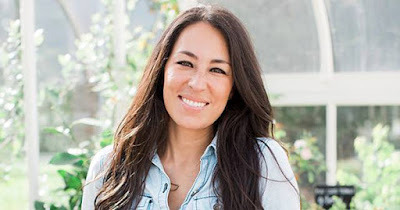 Following the birth of her fifth child, Joanna Gaines topped off her business ventures in 2018 by opening the restaurant, Magnolia Table. But based on her track record (and rumors of starting her own television network), we expect much more to come from this multi-talented woman.